Last Week was a turning point in the Yahapalanaya government rule. This is because the budget was passed in Parliament with 165 votes and more than a two-thirds majority. 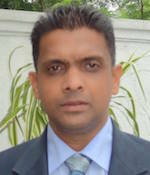 However, I do not wish to speak about the government’s victory, but rather, about the day preceding the budget vote, where several MPs of the United National Party including Thushara Indunil and Mujibur Rahman held a press conference where strong criticisms were leveled at the previous SLFP regime and its Ministers. They also went on to say that if they could not remain in the system, that they should simply leave. This is a symbolic threat. I believe that there is a large political significance behind the statement made by the UNP Ministers, just prior to the budget vote. To elaborate further, they are simply stating that the opposition, instead of pulling the leg of the government and enjoying the power and privilege of government jobs and posts, ministerial and state position reserved for the UNP, they should hand those said benefits over and leave. I personally believe that at the time of the press conference, the government had already obtained the votes of TNA MP’s Thondaman and Douglas Devananda’s in favour of the budget and secured its majority. However, in the days preceding the budget vote, the very same SLFP Ministers who held press conferences and hurled criticisms and accusations towards the Prime Minister and the UNP, voted for the budget without a single muttered protest. This, in a way, is a letdown. Symbolically, they may still enjoy the privileges afforded to them by the government, obstruct and complicate government affairs and create a singular and powerful SLFP government, cancelling out any ability for the rational people to conduct themselves. The backbenchers and supporters of the United National Party wish for, not a government with a two-thirds majority, but a UNP government, where there is a simple majority, and they not only hold Ministerial positions, but their supporters too are guaranteed with jobs. A Parliament team has been authorized to work in regards to maintaining the Presidency under the UNP working committee decision. Therefore, the ability for the UNP to remain influential has been lost by showing the SLFP a two-thirds majority and threatening to destroy the constitutional reforms. 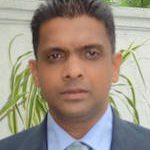 If there are no constitutional reforms in the country, it will prove disastrous for a single UNP government, for the continuation of the Party and the continuation of Sri Lanka. The backbenchers of the UNP state that the UNP, together with the President, can maintain a government for the next three and a half years with a simple majority. The President himself was appointed by UNP supporters, and therefore, they have an inherent respect towards him. What is now left for the SLFP Ministers to do is to leave behind the state power, contracts, vehicles, living quarters and other benefits which they enjoyed over the last 20 years, and follow the example of Mahinda Rajapakse and get onto the streets and protest, hold conferences, and engage in the difficult act that is politics. If they chose to do so, not only will they be insignificant in the presence of the SLFP supporters, but they will also be subject to vile insults and berating from the public, and be thieves amongst the thieves of the Mahinda Rajapakse led opposition. In my opinion, after this incident, the SLFP ministers lost any ability they possessed to influence the United National Party. The other incident occurred last week is that of the Magampura Port in Hambantota. As we all now undoubtedly know, contract employees of the port detained two ships transporting goods for more than 72 hours. According to International Maritime Law, this is nothing short of Piracy. Despite the job security of the contract employees of the government port being guaranteed, the Navy had to be commanded by the government to manage the violent and disruptive behavior by these same employees which was causing immense damage to public property. The Navy Commander had to personally intervene in this matter due to two reasons. The first is that he is a well-trained pilot, and the second is that as the Sri Lankan Naval Commander, he has an immense responsibility in ensuring that the Indian Ocean is devoid of acts of piracy. In the aftermath of the events of Hambantota, despite several protests around the nation against the Navy Commander, the Government has remained firm in its stand to defend and protect him. The wonderful irony of this is that the very same opposition comprising of the joint opposition, nationalists and representatives of the SLFP, all of whom constantly pledge their allegiance towards fighting for the soldiers, raising money for them and holding press conferences for them, have suddenly done a complete 180 degrees and are now taking the side of the local journalists against that of the Navy Commander and the Navy. My conclusion from this, is that the joint opposition and the national forces of this country lack an organized and theoretical foundation. Furthermore, junior journalists within several media organizations broadcast these simple arguments as the day’s news in order to further their political agenda. This however is not a political process which is strong enough to send a government packing. Mr President and Mr Prime Minister, it took a lot for the Yahapalanaya loving nation to overturn the previous regime. None of you mentioned at the time that you will give top priority to your own party politics at the expense of the golden opportunity given to you two by the fair-minded people in the county. If your voters sensed 24 months ago that this is the way you two would be carrying out the results of the past two elections could have been much different. After two years of silent observation now it is clear even to an average peasant that you both are moving in different directions to what you promised at the last two elections. What seems to be happening now is that instead of the two leaders in the country giving direction to the nation, they both still seem to be taking directions from those corrupted people close to the previous regime or from their own ranks. The inevitable end result will be that the nation will have lost another golden opportunity to restore the nobleness, honesty and dignity in future parliaments and governments in the country. People voted you two in to put an END to corruption, injustice, political crimes and killings in the country. People did NOT vote you two in to use the power and authority of those positions to play your own petty party politics and games. It is very clear that you both have failed to deliver what you individually and jointly promised over and over again during those elections. None of your scorecards seems to have reached even the pass mark after 24 months in Office and no one’s score seem to be improving either. As a result, it is unfortunate that such organisations like Purawesibalaya on whose shoulders you two came into power had to officially and publicly register their disapproval to your government. Remember these civil organisations still represent those 6.2 million people to whom they are responsible for but not to you two anymore, as you two have sadly forgotten them and have chosen your own new godfathers and godchildren. It is unfortunate that both of you have failed to understand why each of your popularity has gone down since the last election. It will be your 6.2 million voters who will turn against you first if you failed to deliver your promises. You only have 36 months to go. If one predicts the future from your past 24months performance, it is hard to think how is the nation going to see a light at the end of the tunnel. As a general observer, gathering information from a handful of independent media channels outside the country, I come to the conclusion that this government has misused power, protected criminals, allowed friends to syphon public money on a mega-scale, manipulated justice, appointed wrong people in cabinet and key government positions. The first day Mr President did not listen to the voice of his supporters is the first day he lost his 6.2 million people including Ven Sobhitha thero, who we lost for ever perhaps as a result. That was the day he appointed those candidates, who had corruption allegations to contest at the last election under his political leadership. The first day I questioned the integrity of the Prime Minister was the day he appeared with the man who was under investigation for the historical daylight robbery at the Central Bank. Mr Clean does not seem clean anymore. Mr Honest does not seem honest anymore. The two at the top may still be thinking that they are the winners but the reality is NOT ANYMORE. If those people who voted them into high Offices ended up being the losers again they will NEVER FORGIVE THEIR LEADERS. If and when that happens it is inevitable that the entire nation will join hands irrespective of their ethnic, religious or political differences and look for a complete overhaul of the political landscape of the country. If a critical mass of the nation feels enough is enough a little butterfly may appear from nowhere and grow into a tsunami waiting to happen in the political history of Sri Lanka. Most of these parliamentarians are power hungry as well as greedy for money. They will do anything to stay in power to enjoy the benefits of being a minister etc. The fate of the future of all Sri Lankans, unfortunately, are in the hands of these people. Only God can save us. In 1965-70 under Mr.Dudley Senanayake tenure Late Mr.U.B.Wanninayake as finance minister never abused or misused privileges given to him one incident his daughters wedding in Kurunegala he hired a vehicle to go there rather than going on a official vehicle because it was a private function. When he left the office not a pebble of corruption left behind. Late Dr.N.M. Perera as finance minister was seen in a queue at Peoples Bank union place branch to obtain a cheque book. late Mr.Anil Munasinghe as minister of transport offered a huge commission by the supplier for importing buses and trains, he informed the supplier hand it over to government treasury. Do we have these type of ministers now? as the Writer now lays out?